Hiscox Group, the specialist insurance and reinsurance firm, has experienced further growth in its Hiscox Re ILS funds in the last quarter, but following the major catastrophe losses is witnessing “material hardening” with some property catastrophe reinsurance rates expected to be up as much as 30%. Hiscox’s ILS funds, under the Hiscox Re ILS brand, will have experienced drawdowns from recent hurricanes Harvey, Irma and Maria, as well as other catastrophe events such as the Mexico earthquakes. But now the firm will be hoping that its positioning and access to business will allow it to take advantage of significant rate increases that the re/insurer forecasts. Hiscox said that it is already seeing rates rise, particularly in loss-affected and loss-exposed U.S. property insurance lines where it cites rate increases of 10% to more than 50%. While in reinsurance, Hiscox expects to see double-digit rate increases on U.S. catastrophe-exposed business at the January renewal season, with higher rate increases on loss-affected accounts and retrocession. The expectation for much higher rates comes as Hiscox also reduced its estimate of losses from the recent catastrophe events, saying now that it anticipates a net Harvey, Irma and Maria loss of $225 million, where previously it had forecast the same amount for just Harvey and Irma. Hiscox said that it is now working off insurance industry loss estimates of $25 billion for Harvey (excluding the NFIP loss), $35 billion for Irma and $30 billion for Maria. The fact that the Maria estimate is lower than Irma may come as a surprise to some, given Irma’s claims are not developing that rapidly and the Maria picture remains difficult to assess. But including the earthquakes and recent California wildfires, as well as other catastrophe and weather activity, Hiscox continues to estimate a $100 billion industry wide toll from recent events, which it believes will stimulate significant rate hardening. The Hiscox Re ILS funds are well-positioned to take advantage of any rate increases, the firm believes, with now $1.35 billion of assets under management and the ILS funds have been helping to drive reinsurance growth for the firm. As around 60% of gross written premiums for the Hiscox Re ILS funds consists of property catastrophe reinsurance, the ILS operations stand to benefit from higher rates. 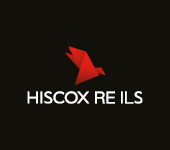 The addition of the third-party capitalised Hiscox Re ILS fund balance-sheet will enable the re/insurer to take greater advantage of any rate increases at the upcoming renewals and we’re sure Hiscox, like others, will seek to put more capital to work through its funds if the opportunities allow it to.